You can tell a lot about a woman by looking at her purse. From the type of purse or bag she carries to the contents inside, her purse gives a glimpse into her world and sheds some light on her personality. I remember the cute designer purses I carried in high school. 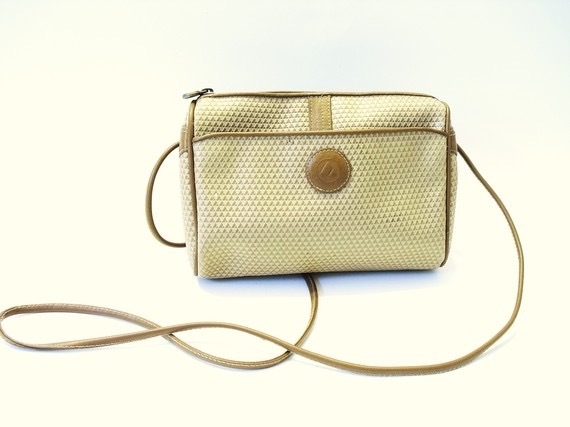 My favorite was a “pleather” Liz Claiborne in taupe. It was expensive and one of my prized possessions. We had to go to the department store to buy it and I remember agonizing over what color I wanted. After much debate my mom and dad convinced me that taupe was a good choice because it would go with everything. I really didn’t care what color it was because all of the “cool” high school girls in the late 80’s carried one and now I had one too! It was small so there wasn’t a lot of room to keep much in it. I remember getting a matching wallet for Christmas one year and I would bet good money there were several tubes of lip gloss and a mini can of hairspray inside. It was the 80’s after all. I don’t recall what ever happened to that purse but styles changed, I grew up and started college and then I was too busy trying to graduate in four years to care about what kind of purse I carried. I had moved beyond a cute designer purse to a big practical back pack. Mine was an East Pak and it carried all of my heavy textbooks, notebooks and mechanical pencils. I think it was hunter green but it really didn’t matter, it was the early 90’s and it paired well with one of my floral babydoll dresses or with my oversized college sweatshirt and scrunchee. When I graduated from college and began my teaching career I carried a canvas bag that said “#1 Teacher” in red stenciled letters. It was hand decorated with a drawing of a ruler and an apple and was a gift from a former preschool student and his parents. I proudly carried this bag to school on my first day as a kindergarten teacher and it held my plan book and a red Open Court phonics teacher edition. It paired well with the corduroy jumpers I wore. 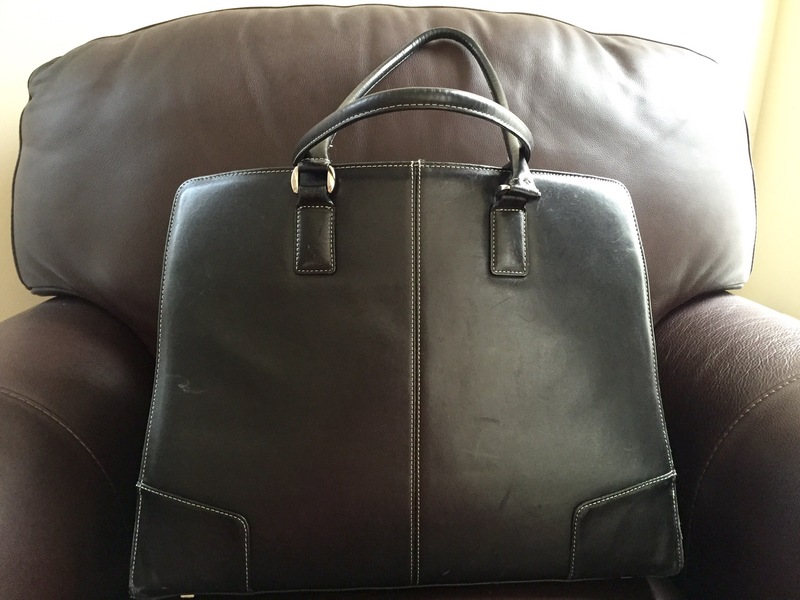 When I graduated from teaching kindergarten to teaching on the college level I traded in my canvas tote for a more distinguished bag…. a messenger bag. With this bag I carried students papers, textbooks and educational journals. This is when I traded in my paper calendar for a PDA (personal data assistant). I also started carrying a computer bag for my laptop computer. My first laptop must have weighed over twenty pounds! Then I became a full time educational consultant and I began traveling every week for my job. A purse was an extra carry on and since you are only allowed two (and I never wanted to check my bags) I found throwing my personal effects into my work bag was a great solution. My work bags evolved over the years from a briefcase with wheels (to carry an oversized projector) to designer computer bags. My bags became worn from travel and from me over stuffing them with consultant request forms, presenter notes, snacks and a heavy laptop. I found myself buying a new one every year. As the laptops got smaller and lighter, my bags got smaller and more stylish. Sometimes I stepped out of my comfort zone and bought a bright red bag instead of basic black. Today my life is so busy I have four bags. Each bag is used for a different purpose and each one represents a role I proudly play in life. The first bag is made of hard black leather. It is worn around the edges from the many trips it has taken on an airplane carrying my necessary work accessories: Surface Tablet, wireless presenter, cords and adapters. If you dig deep into the bottom of this bag you would find an old airline ticket, loose change and crumbled up pieces of paper with random notes from teachers. It represents my work life and I carry it a few times a month when I leave my role as a stay at home mommy to work as a per diem consultant. The next bag is also black but it is constructed of nylon so it won’t get wet and it is padded for extra protection from the elements. This is my gig bag and it holds my clarinet, folders full of music, reeds and a stand light. If you dig deep into the bottom of this bag you will find programs from concerts played and long forgotten, some broken old reeds, a stray tube of cork grease and a broken pencil or two. I carry this bag back and forth to weekly rehearsals and to monthly performances. 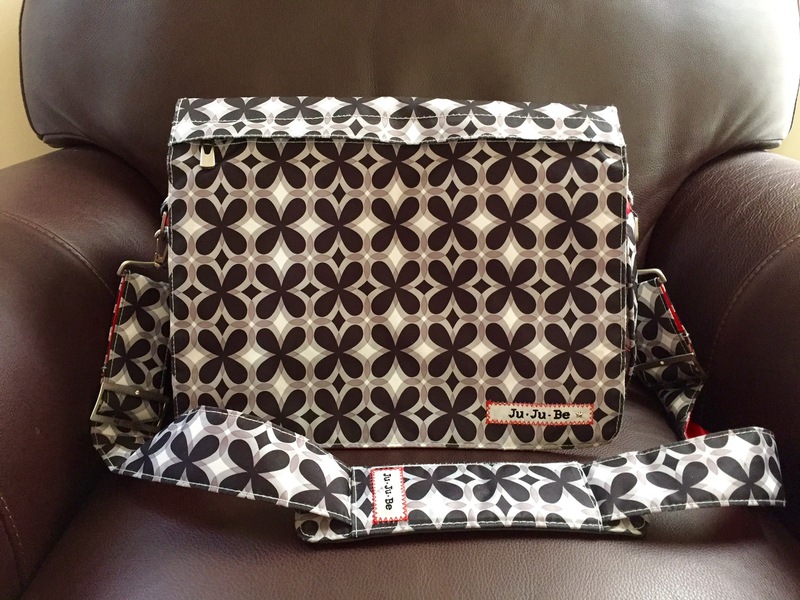 The last bag is covered in a playful black, white and red design. It is made from a waterproof material and is designed to take a beating. 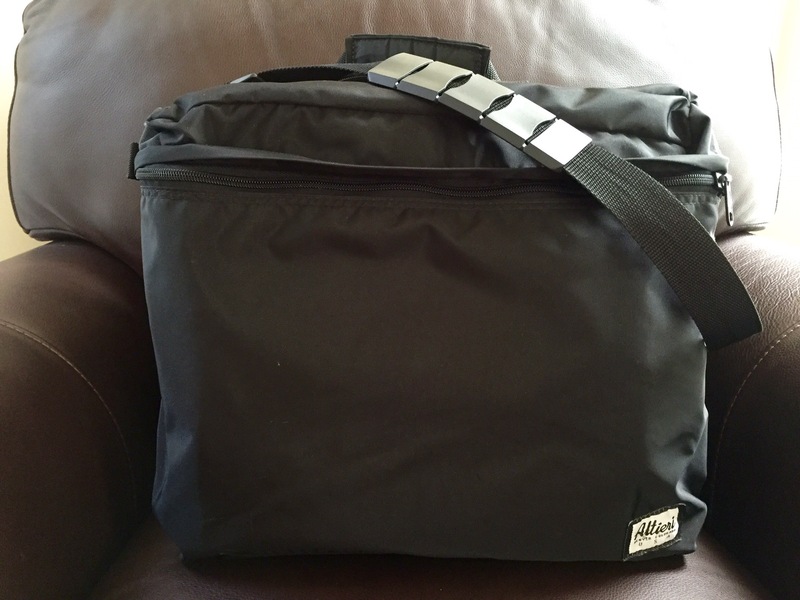 This is my diaper bag and it contains much more than diapers and wipes. In this bag you will find an extra set of clothes, a bib, toys, snacks, a sippy cup, Boogie Wipes and those plastic disposable placemats the baby eats off of at restaurants. This bag has built in crumb holes at the bottom to easily clean out the random Cheerios and Goldfish Crackers that have found their way to the bottom of the bag. The bottles I used to carry in this bag have been replaced with organic baby food pouches. It isn’t overly feminine looking and my father in law feels comfortable carrying this bag when he babysits. 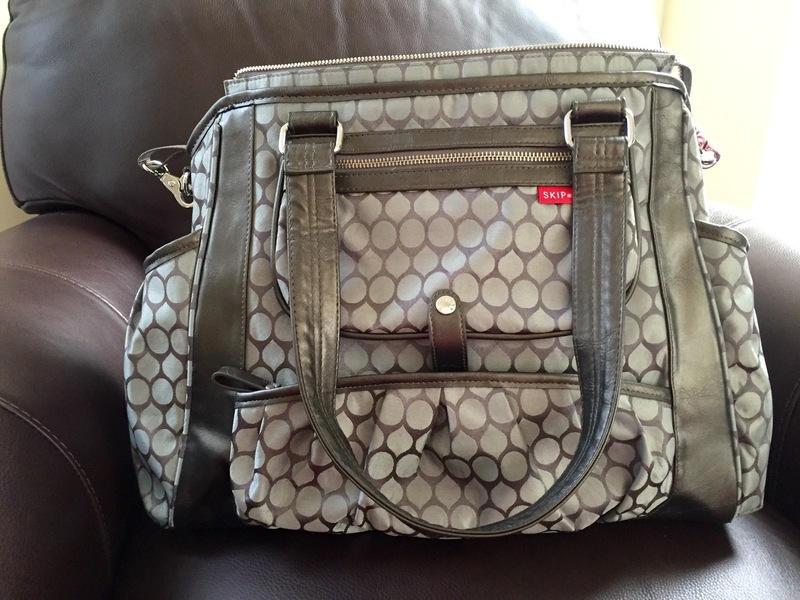 As I reflect on all of the purses and bags I have carried in my life, the diaper bag is the bag I carry with pride. It represents the most important job I will ever have…a mother. And of all of the bags it was the most difficult one to pick out. In fact, I just couldn’t make up my mind so I bought two diaper bags before my daughter was born. That is where the fourth bag comes in. It is a designer looking baby bag with a sophisticated pattern and it resembles a purse more than a diaper bag. Now that my daughter is approaching 18 months I have begun using it. It has a ton of compartments to carry all of the necessary baby paraphernalia along with a pocket just for mommy. It is the best of both worlds as it is both practical and stylish. I didn’t realize this when I bought the bag but when I take a closer look I see it resembles the prized Liz Claiborne purse I carried as a teen. This bag represents the smart mature mommy I am today along with the optimist carefree girl of the past. And in case you wanted to know, inside the mommy pocket you will find my cell phone, wallet, a power bar and a tube of lip gloss safely tucked away. I recently had the privelage of being part of the premier performance of Julie Giroux’s Symphony No. 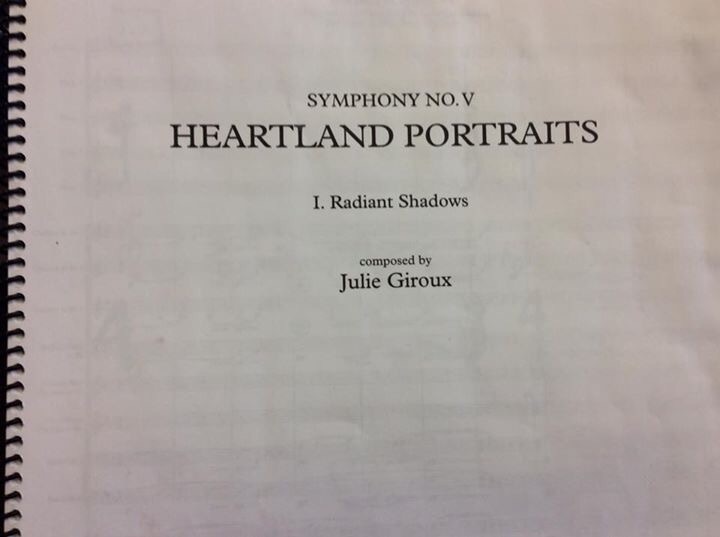 5 “Heartland Portraits.” This commission was made possible through a generous donation by Pete Poletti, principal tuba and a charter member of the Saint Louis Wind Symphony. The Saint Louis Wind Symphony had the opportunity to rehearse the symphony with Julie, the talented composer, prior to the premiere performance. During the rehearsal Julie would stop the ensemble and explain that she wanted the first movement played at a slower tempo. Later she commented that another part needed to be played softer so we dropped to one player on a part for a few measures. In the second movement she noted that she wanted a louder cymbal crash in a particular measure. It was clear that she was passionate about her work and she listened to every note with clear intent. 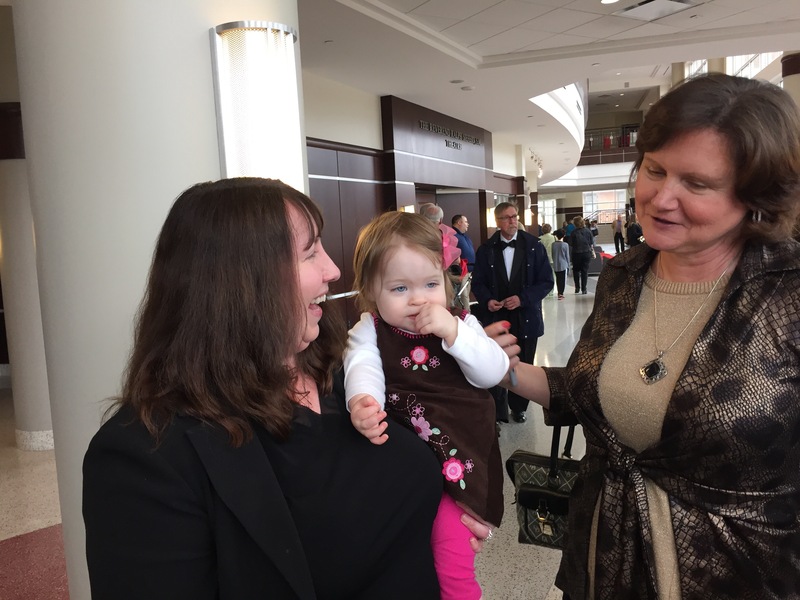 Participating in this process made me think that as a composer Julie had “given birth” to the notes on the page and they were truly a part of her, an extension of who she is. She was sharing her raw emotion, her intimate thoughts and feelings. By sharing her work with us she was giving up control and was trusting us to care and love her work as much as she does. Just like a mother who trusts a teacher or caregiver to love and nurture her children when she is away from them. She was trusting us to tell her musical story. As a mother I strive to play every note right and make sure I give my daughter enriching experiences where she can learn and grow. I want her to eat healthy foods, live a happy childhood and be well rounded. I often find myself stressing that I am not doing enough for her or that I am making mistakes. For example, should I enroll her in swimming lessons? Sometimes I forget to have her brush her teeth before bed. She goes to bed later than her friends. On play dates she doesn’t like to share. Will she develop poor eating habits after she had a taste of ice cream? The worrisome list goes on and on…. Just like Julie Giroux and her message to us before the premiere performance, deep down I know that I will never play every note right, even with a lot of practice. I can read book after book on parenting and research online but I will still make mistakes and that is ok! My daughter won’t even remember the small imperfections as long as I surround her with my love and support. What is more important is that my daughter knows that her mommy loves her unconditionally, even when she makes mistakes! That she has a mommy who cries with her when she is sad and laughs with her when she finds something amusing. Julie gave me more than the gift of composing a new piece of music that day. 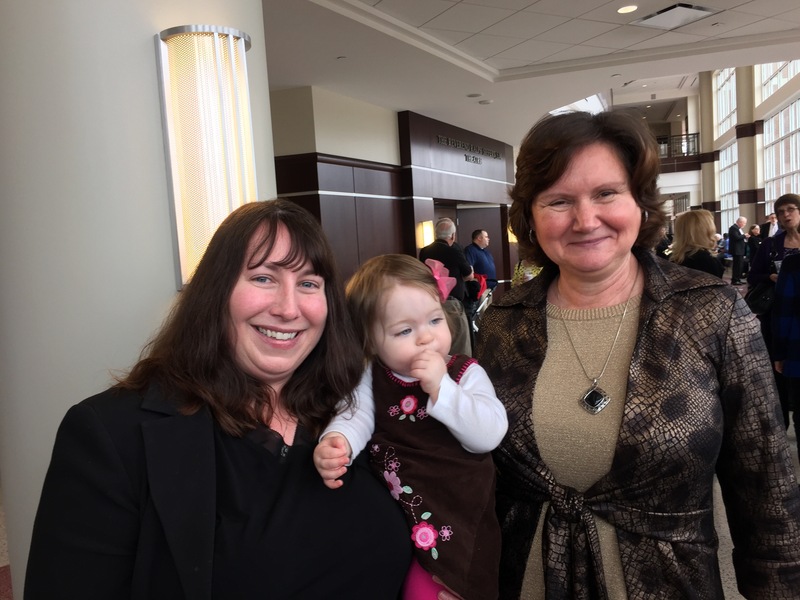 She reminded me that I want to be a mommy who isn’t afraid to say I’m sorry and one who focuses on the emotion in the world instead of focusing on the precision of making sure every note is played right.